Australian Olympic eventer Gillian Rolton has been awarded the Key to the City from her hometown of Adelaide. The honor came only two weeks after Rolton, 61, revealed she has been fighting endometrial cancer for the past two years. 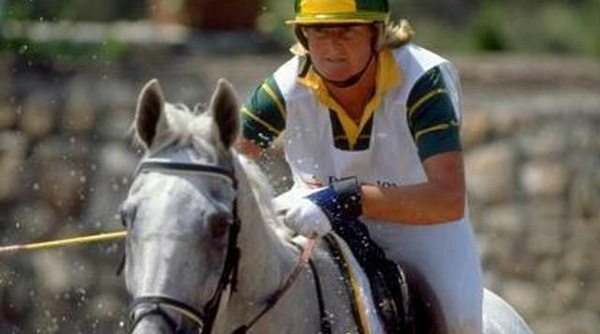 Rolton won team gold at Barcelona in 1992 and in 1996, when she fell twice from her horse on the cross-country, but completed the course to secure gold for Australia, despite sustaining a broken collarbone and ribs. She has been the director of the Australian International Three-Day-Event for the past 10 years. Rolton was one of the eight flag-bearers of the Olympic flag at the opening ceremony of the 2000 Summer Olympics in Sydney, New South Wales, and that same year was inducted into the Sport Australia Hall of Fame. In 2016, she was awarded Legend status in the South Australian Sport Hall of Fame. Rolton was presented with the key by Haese at a private ceremony last Wednesday.